“Six Degrees of Kevin Bacon” is a game based on the idea that any individual can be linked to Kevin Bacon through their film roles within six steps. A bit like the ‘six degrees of separation’ in Adelaide, really. 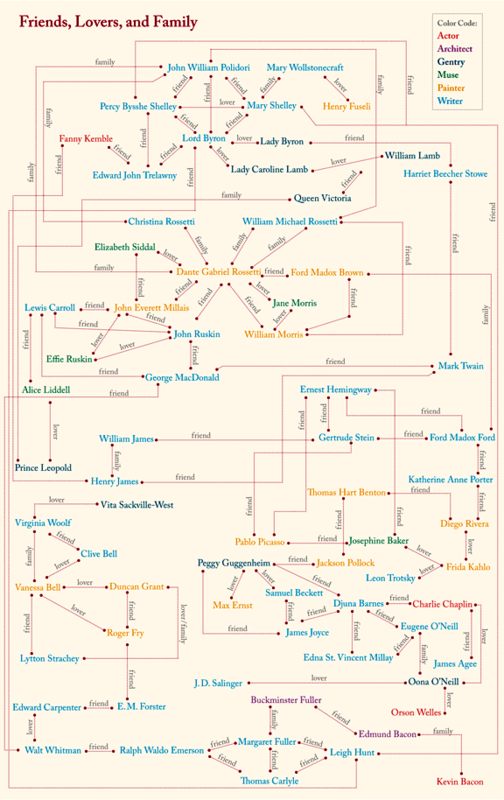 Biblioklept blog featured this great chart linking various authors, actors, painters and more. Click the image for a larger version and check it out!